Child Benefit is usually paid for a young person up to the Monday following 31 August, after their 16th birthday. If the young person does not intend to stay on in full-time further education or approved training, you do not need to contact the CB Office. If your child is continuing home education after the age of 16 and was home educated before the age of 16, then provided the home education is still considered full-time, you are entitled to continue to receive Child Benefit. Before the young person reaches the age of 16 the CB office usually send out a form enquiring about plans for further education or approved training. However there are particularly busy times of the year (e.g. summer) when they are inundated and may be behind schedule. If your young person is continuing full time further education either by being home educated or at college and you have not heard from the CB office in the month before their 16th birthday then you should contact the Child Benefit office to inform the Full Time Education Section at the address below. If you state that the young person is continuing with home education then FTES will send out their home education form to be completed. This form is designed to establish whether the child has been electively home educated or is educated at home through special arrangements with the school as a result of, e.g. prolonged ill health, family illness. It is far from ideal for home educators! The crucial question is: "How many hours of study do they do at home each week?" About full-time further education. By full-time education further education, CB office means more than 12 hours supervised study a week, not counting breaks for meals and homework. To decide whether education undertaken elsewhere is full-time, the decision maker should consider the guidance in DMG11093 This might include unsupervised study since the circumstances of home education could be quite different from those at a recognised educational establishment. If the decision maker is satisfied that the number of hours studied each week exceeds 12 they should accept the education as full-time. Some home educators have interpreted the question to mean formal study time e.g. course work for a subject and have filled in the form stating that they only study for 2 or 3 hours a week. The result is their CB is stopped! So for that question please remember to count ALL the hours your child is engaged in learning. Child Benefit for home educated young people who are over 16 is assessed on a case by case basis. Qualifying Young Person from 10 April 2006 Child Benefit will be available for young people aged 16, 17, 18 and 19 if they can be treated as a 'Qualifying Young Person'. aged 16 or 17 and registered for further education. Open University study for home educated students over 16. Until recently, being over 16 and studying at Higher/Advanced Education level meant losing eligibility for Child Benefit. The good news is that this has now changed. It is thanks to Schoolhouse's persistent efforts that the new ruling does not exclude home educated teens. For this ruling to apply to home educated young people, the home education provision must be full time at Non Advanced/ Further Education level adding up to more than 12 hours spent on tuition, practical work and supervised study and must be significantly more than the number of hours spent on the OU course. The home education provision does not have to include studying for a formal non advanced course (eg GCSE, Standard Grades) nor does it have to include taking exams but must constitute a suitable education. If studying only an OU course full time at over 16 then you do not quality for CB. The OU course must be supplementary to non advanced education. Further Education College and University. Young people over 16 attending Further Education colleges will continue to qualify for Child Benefit provided their course is at a Non Advanced/Further Education. However if the young person enters college or continues college or university at a level that is Advanced/Higher Education then CB is discontinued. Contacting the child benefit office and further information. The guidance notes used by call centre staff do not outline the difference between elective home education and education at home due to e.g. ill health. This leads to staff manning the phones giving out inaccurate info to home educators and in some cases action has been taken by officers other than the FTES to incorrectly stop child benefit. 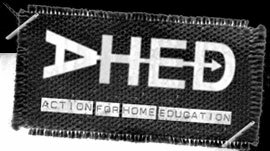 The information on their website also confuses by using the term "education at home" when referring to elective home education. Home education is where a parent has either withdrawn their child from school in order to provide them with a home based education or where the child has never attended school at all but has been provided with a home based education. Education at home is where a child is unable to attend school e.g. due to long term sickness but remains on a school register and is provided with either a tutor for a few hours a week or support via the school or Local Authority. The Full Time Education System (FTES) deals with all enquiries about home-educated children over the age of 16, but you cannot telephone this section directly yourself. If parents telephone the number below, do not accept an answer by the call centre staff but ask for your enquiry to be forwarded to the Full Time Education Section and say that a reply from FTES is required. Any correspondence regarding home education and child benefit should be addressed for the attention of the Full Time Education Section. When you contact them, please give your full name, your National Insurance number, your Child Benefit number and a daytime phone number. Schoolhouse has a special arrangement with the Full Time Education Section of the Child Benefit Office, which allows us to make general enquiries on behalf of home-educators. If you have an enquiry that you would like answered please contact us.